Did you forget to refrigerate your leftovers but had them anyway? Was your little one in the bathroom all night when something she ate didn’t sit quite right? Food poisoning, also known as foodborne illness, can make anyone miserable, and it often leads to dehydration. And when you or your kids aren’t feeling well, dehydration can make it even worse. Rehydrate with Pedialyte® to feel better fast and help your food poisoning recovery. The causes of food poisoning include viruses, parasites, and bacteria. There are more than 250 different foodborne diseases! The symptoms of food poisoning can differ, depending on the cause, but two of the most common symptoms are vomiting and diarrhea. Vomiting and diarrhea caused by food poisoning can be severe over a short period of time. You or your children may be losing electrolytes and fluids at a faster rate than they can be easily replaced. And on top of all the other food poisoning symptoms, dehydration can make you or your kids feel even worse. Why use Pedialyte® for dehydration caused by food poisoning? For over 50 years, the advanced science behind Pedialyte® has helped people hydrate after challenging episodes of dehydration. You may have used juice, sodas, and sports drinks in the past to help you or your family rehydrate after food poisoning, but these beverages are often too high in sugar and too low in sodium (which is an important electrolyte). When you or your little one is dehydrated from food poisoning, sugary drinks can actually make the symptoms of food poisoning, like diarrhea, worse. Pedialyte® contains the optimal balance of sugar and electrolytes that provides fast rehydration to help everyone feel better fast. 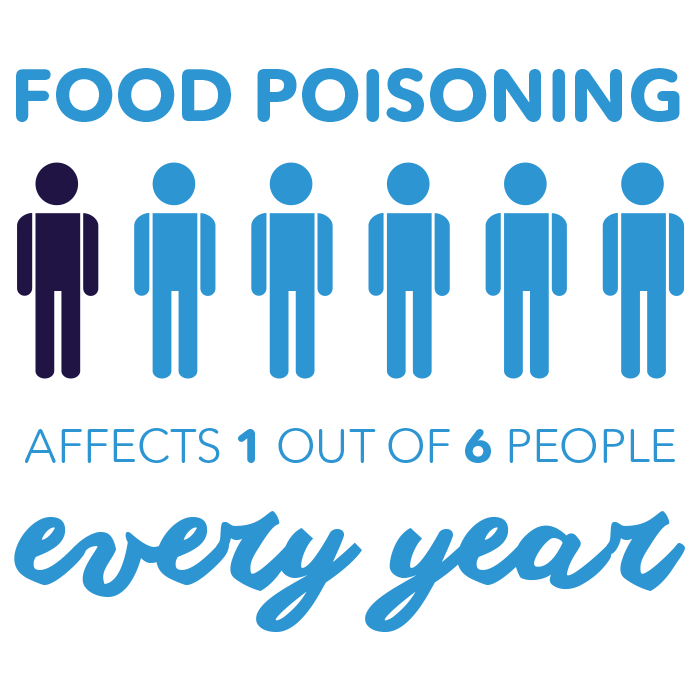 Food poisoning is common, so be prepared! Consider Pedialyte® as part of your everyday first-aid kit. Our four different types of Pedialyte® products come in a variety of flavours. Find your or your little one’s favourites online or at your local store!